Villa das Oliveiras is an attractive, single storey villa, set in its own landscaped garden just a few minutes’ walk away from the facilities of the popular Rocha Brava resort. 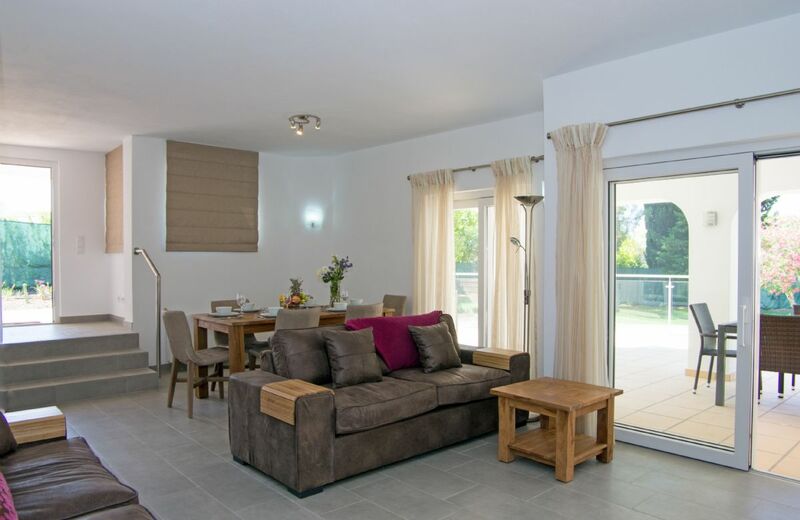 The villa has been refurbished to create a modern, stylish and comfortable family holiday home. Situated in a quiet position on the edge of the Rocha Brava resort, Villa Oleander is a comfortable, traditional style four bedroomed villa. The villa’s private swimming pool is separated from the landscaped garden by a lockable gate, keeping young ones safe.